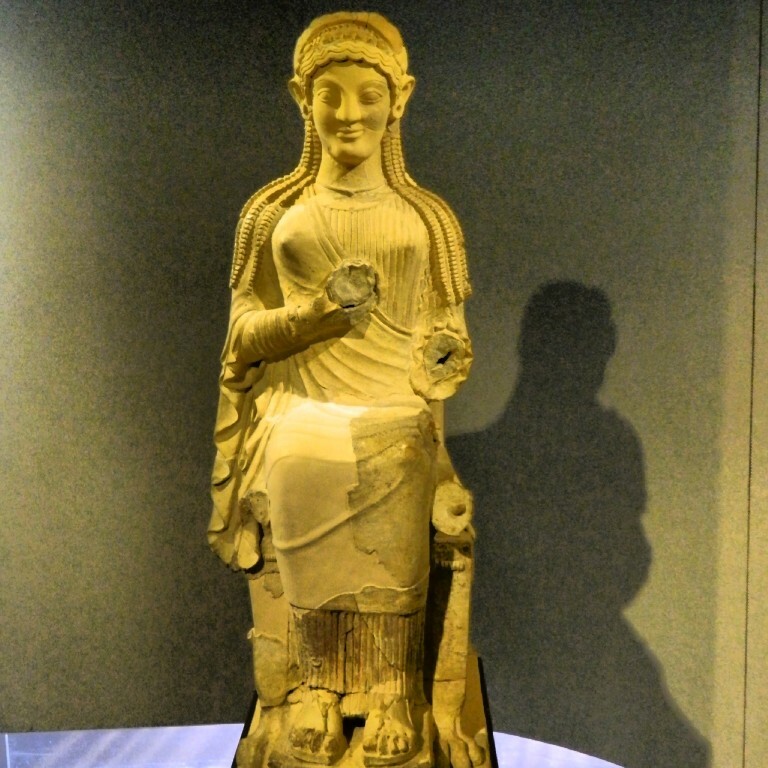 This terracotta statue of an enthroned goddess was found near the town of Grammichele in Catania province. Now in the Museo Archeologico at Siracusa, scholars gather that it was created between 490-480 BC, a time, they conclude, when Greek colonizers were intermingling with the native Sicel population. They’ve deduced the existence of such a cultural shift because the statue’s design reflects both contemporary Greek art, while its theme–a mother-child divinity–was representative of the sacred divine feminine of the native population. It’s a profound ancient example of Sicily’s pervasive mixing of cultures.